Please fill out the form carefully, items appear exactly as entered! The first and last name of the person emoting. Such as: John Smith, Dr. John Smith, or John Smith Jr. The Hate option should only be used for non-people targets (such as Joe hates Carrots). Any emotion used in a derogatory or inflammatory way will be removed without refund! such as a birthdate or anniversary. If unsure, use today's date. 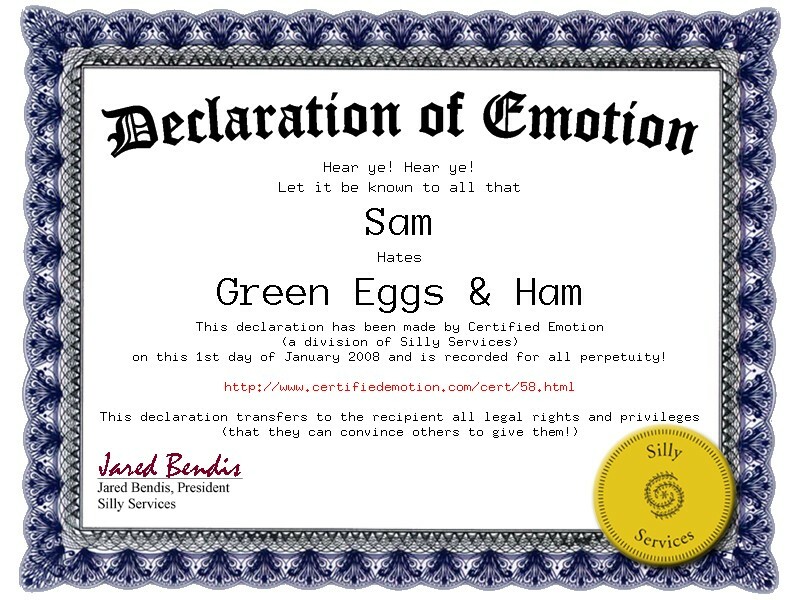 Declaration of Emotion remains publicly accessible.